My first collection of Short Stories, Something’s Lost and Must be Found has been published on Amazon and can now be downloaded on Kindle, IPAD, PC and IPhone. http://www.amazon.com. Early reviews have been very positive. If you really enjoyed the stories, please be sure to leave a Review on my AMAZON page! Also, if you belong to a book club, please consider having my book be one of your “reads.” Something’s Lost and Must be Found offers some interesting and engaging points for discussions; not just for dog-lovers. I started writing short fiction several years ago. Why? I love to write and because this kind of writing didn’t have to be lengthy, I thought it would be easy. I soon found out I was wrong. But, in the beginning, I was encouraged when some of my first efforts received Honorable Mentions in national writing competitions (including those sponsored by Writer’s Digest Magazine); some of them went on to be published. Because of that, I stuck with it. Since then I’ve learned that a well-written short story is deceptively simple and I’ve developed a new respect for the genre. I am still learning. Wanting to explore other formats, I began to draft a Young Adult Novel, a Children’s Book (both currently under consideration), and a major Non-Fiction project, Every Dog has its Week which is represented by the Parkeast Literary Agency. I’ve also done my best to keep this Blog informative and interesting. It’s been incredibly rewarding to come to know so many individuals who are using their talents and energy to improve the way we treat our pets in this nation. Now with over one-hundred posts, I thank my readers and those who have agreed to be interviewed and hope to present many more enlightening posts in the coming year. What: A collection of six short stories centered on a theme of lost and found; celebrating the search and rescue dogs of the soul (most of us have had one or two). At a total word count of approximately 23,500, (they range in length from under 3,000 to 10,000 words) these stories were inspired by real life events, either experienced by me, my friends, news items, or stories relayed to me. All accounts are fictionalized. By engaging readers in the fictional genre, I hope to enforce the spirit of the posts that have appeared on the National Dog Week Blog. Why: Because of the success of some of my writing friends, I was encouraged to try my “paw” at e-publishing. The market for short stories has been rather limited and as many of these stories were just sitting all crated up on my computer, I thought that publishing them on Amazon would be a good thing. What good is being a writer if no one ever gets to read your work? I hope you’ll agree. Who: These stories are targeted for an adult readership, although I believe that a mature teen-ager can appreciate them. That is best left up to the discretion of individual parties. And here is the best part. A portion of the proceeds of all Kindle downloads will be earmarked for some worthy, grassroots causes that aid and assist animals in need. If I can pay for some spay and neuter procedures, a tank of gas for a transporter, an adoption fee, etc…I will consider this project a success. I am already encouraged by those who have contacted me about this new venture, expressing their support. So I appeal to you, my friends. Please download Something’s Lost and Must be Found and review it on Amazon. Certainly with six stories, you can relate to one. Hopefully, within the next month or so, I can happily report that this “experiment” is a great success. With your readership, I can help to “write” some wrongs one short story at a time, and perhaps inspire some of you to get out there and find the courage to follow your own dreams, whatever they may be. 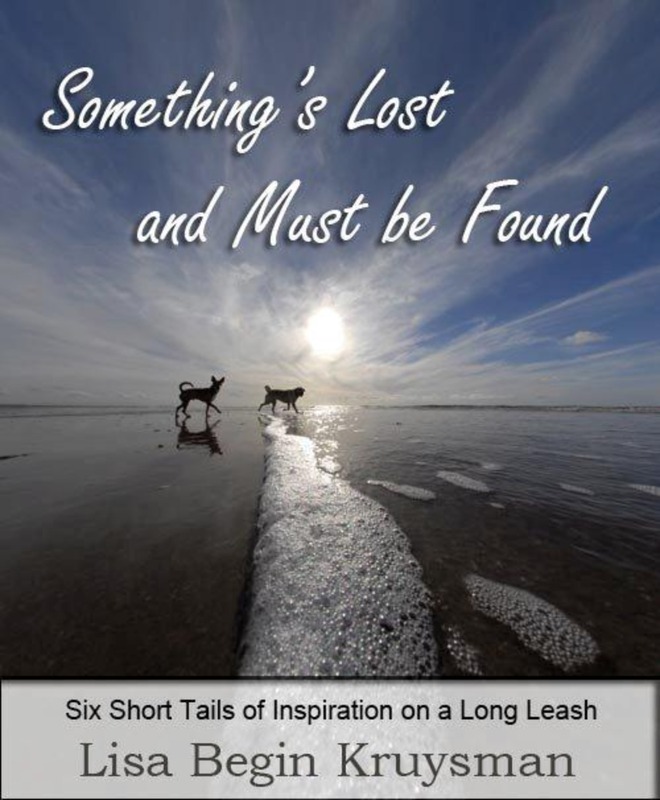 SOMETHING’S LOST AND MUST BE FOUND: Six Short Tails of Inspiration on a Long Leash…read it and leap. The following is my interview with Thomas Cole of Shelter Revolution. It is lengthy (necessarily so), but fascinating. If you are truly concerned about the nation’s pet overpopulation dilemma, please read this in its entirety. Please tell us a little about yourself. I have a degree in business management, worked for almost 15 years as a corporate controller in the transportation industry. I fled that world to get back to my roots working with animals. How did you become involved in animal causes? My father had a shelter and sanctuary that served as animal control for an entire county. At an early age I handled the grumpy dogs in the sanctuary. The dogs there were mostly abandoned farm dogs and pretty scary. But over time I got pretty comfortable around them. I didn’t know it then because we didn’t have a name for it, but this was a true no-kill shelter. What is wrong with the traditional sheltering programs offered in the nation? Cages! Gotta get social animals out of isolation and into an environment where they’re happy and can show off their best qualities naturally. Then there’s this “enrichment” fad right now. This is nothing more than a band-aid approach: shelters cram animals into cages and they go “kennel crazy.” To fend off this problem some shelters treat symptoms by playing with the animals then returning them to cages. The solution is to get rid of the cages. Simple concept, hard to convince people. Though resisted strongly for years by the industry, fostering has become all the rage now. I see foster homes as a potential resource for rehabbers. They will just need to have their handling skills honed by experienced rehabbers. Then they can play a vital role in dealing with grumpy dogs and cats. The real benefit of fostering is in caring for sick, injured and neonatal cases which just take time and a quiet place to heal or grow. Fosters are great for these cases. The increased emphasis on adoption rates is also causing a hidden problem. Many placements done under the zeal of increased adoptions result in poor placements. These lead to later returns or abandonments, or worse. Most of these failed adoptions were made by placing dogs and cats who weren’t really ready for adoption. These animals need some rehab time first and are not getting it. Some progressive shelters are trying to deal with behavior problems by hiring trainers or behaviorists to work directly with their animals. At the forefront is Boston Animal Rescue League’s own Center For Shelter Dogs (http://www.arlboston.org/site/PageServer?pagename=Behavior_CSD_people), dedicated to working with difficult dogs. The problem is that the noisy shelter environment is counterproductive to this work. Rehab is best done in quiet homes. What is Shelter Revolution? Shelter Revolution is just a website (www.shelterrevolution.org). It serves as a way to get out the word about what is really important – the Adoption Center model. Shelter Revolution’s goal is to change the course of this antiquated shelter industry. That is the revolution part of the name. Long ago I saw that the industry really treats shelters as prisons and their animals like prisoners. I still can’t understand how, in this day and age of space travel, high-tech devices and the “global community,” how people can still think the best way to deal with SOCIAL animals is to jam them into little cages. I think it’s because people with little or no animal handling experience run these places. It must be a basic fear of animals. In order to change the shelter from a prison facility into what I envision, a fun place to spend time amongst large groups of friendly animals, two things have to happen: first, we have to get rid of the cages! That means redesigning the facility. Second, we obviously can only put into large groups animals who get along. The others have to go into rehab to fix their behaviors. Shelter Revolution is a comprehensive marketing plan. It combines the No-Kill Equation (NKE) with the Adoption Center model to finally modernize this industry. We need to get beyond this concept of “sheltering” which focuses on housing. Instead we need to move away from that and toward the idea of getting homeless animals new homes, or rehomed. Can you give us an example of a shelter that has implemented Shelter Revolution’s concepts? Sadly, there aren’t any. The Adoption Center model is very innovative and looks way outside the box. As its motto states, a better way for a better future. There are several that are very progressive and have put into action some of the main elements. The closest are two shelters that house large numbers of cats together. Pet Connection, Inc. in Avonmore, Pennsylvania (http://www.petconnectioninc.com/) and the Richmond Animal Protection Society near Vancouver, British Columbia (http://www.rapsociety.com/about.htm). But I should mention Aimee Sadler at Longmont Humane Society in Colorado (http://www.longmonthumane.org/about.php?c=about) and Brandi Tracy at Braveheart Rescue in Hastings, Minnesota (http://www.braveheartrescueinc.com/index.html). While both are typical shelters, these two are leading the pack by allowing their dogs to romp together in large groups during the day. Natalie Owings with her The Giant Doghouse (http://www.animal-sanctuary.org/doghouse.html) is truly pioneering something very close to the Adoption Center model. Can it work anywhere in the US? Of course. But that assumes the community and the powers that be are behind it. Even tired old shelters can be cheaply converted to communal housing. Ideally new facilities are better. The greatest challenge is to create rehabbers to handle the animals with issues. The main thing is to develop a network of experienced rescuers and fosters trained in rehab. Without this key component we will never be able to handle the growing number of animals with behavior issues and the killing will continue. Rehab is vital to sound adoptions. By the way, two of the eleven steps of the No-Kill Equation (http://www.nokilladvocacycenter.org/nokillequation.html) generally point at rehab. The Adoption Center model picks up this issue and runs with it. This is one of the ways that the NKE and Adoption Center model complement one another. What about costs incurred in these revolutionized centers? Much, much cheaper. I envision a center where most people working there are energized volunteers. I hope to play a role in changing this very costly thing called a shelter. Corporate streamlining is one of primary goals. Helping Paws of Minnesota (http://www.helpingpaws.org/index.php?option=com_content&view=article&id=25&Itemid=27) is an all-volunteer training center. Their “Foster Home Trainers” go through an intensive two-year process where they raise and train a puppy to become a service dog. These certified service dogs are then paired with a mobility-challenged recipient at the end of the two-year training program. Think about that – Helping Paws does with volunteers what other organizations do only with expensive professionals. And I’ll match the quality of Helping Paws’ service dogs with any produced by these pros. Who do you think are some of the most influential people in the SR Movement? There is a select group of what I call rehabbers – that’s my term – which I hope to bring together and highlight their much-needed skills. This will be the group that provides the expertise to form a national rehab training academy. I’ve already mentioned Brandi Tracy and Aimee Sadler leading the way with large play groups. Also there’s Natalie Owings and her The Giant Doghouse. I see you use the term “family companions” to describe our pets…why is this an important way to look at them? I think the term is more respectful and better reflects their growing stature in our society. One of the greatest obstacles to passing effective animal protection laws is politicians’ refusal to move beyond the idea that dogs and cats are just personal property. They cannot seem to get it that our society has changed. These animals are no longer just “pets” to be bought and sold like things. Dogs and cats truly have become members of our families. They sleep with us, run errands with us and go on vacations with us. These backwards politicians will eventually get the message loud and clear that our society will not accept their attitudes. It took a long time, laws and social leadership to get this country beyond thinking of African-Americans, Native Americans and women as mere things. Remember, there was a time not long ago when these people were bought and sold or traded for goods. Eventually our country will finally see that dogs and cats are sentient beings – our family companions. What reading or websites do you recommend to those who wish to learn more? I think it is imperative for animal lovers to study Shelter Revolution, especially the “detailed road map” (https://sites.google.com/a/shelterrevolution.org/www/detailed-road-map) and the FAQ page (https://sites.google.com/a/shelterrevolution.org/www/FAQ). Then I think it’s very important for all to read through the No-Kill Equation’s 11 common-sense steps (http://www.nokilladvocacycenter.org/nokillequation.html). These are the two most important sites dealing with shelter reform. What is your ultimate goal for the future of the homeless animals of America? Idealistically, to end the wholesale slaughter of millions and millions of family companions every single year. But realistically, with whatever time I have left, I hope to simply change the direction of this ineffective shelter industry. How long do you think it would take to reach your goal? Let’s revise the goal to simply getting one Adoption Center up and running, okay? Boiled down I believe it’s a three-year process. But the question really depends on the facility: a startup effort would be much easier and quicker than a turnaround situation. Obviously it would be a longer effort if the shelter is old and the community is not prepared to change the old one or build a new one. I detail the timeline in Question #9 on the Frequently Asked Questions page on Shelter Revolution (https://sites.google.com/a/shelterrevolution.org/www/FAQ). I would like to point out that the first year-and-a-half is basically dedicated to implementing the NKE. It isn’t until later in the second year that the Adoption Center model starts to show itself. By the end of the third year we should no longer see a “shelter.” In its place will be a new Adoption Center. The shelter facility will become a true marketing tool instead of a prison warehouse. Thomas also recommends that readers visit No Kill Nation on Facebook. Thank you Thomas, for sharing with us. It is the beginning of meaningful change. Thanks to all those “better angels” among us, too. Welcome to my Blog, established to promote the message of Will Judy’s National Dog Week Movement. To learn more please see ABOUT. Be sure to visit us on Facebook and view our new page: SOMETHING’S LOST AND MUST BE FOUND to learn about a new writing project. DON’T MISS THE EXCITING BIG PINE BARK PARK NEWS at the end of this post! What is Chasing Bocker’s Tale about? Chasing Bocker’s Tale (yes play on words) is just that. Bocker’s own story. His life from his eyes. Even as a very young pup, Bocker the Labradoodle pondered on where his life would lead, what was his purpose in life. Follow Bocker’s own tale of his amazing journey and how he has touched the lives of so many throughout the world. 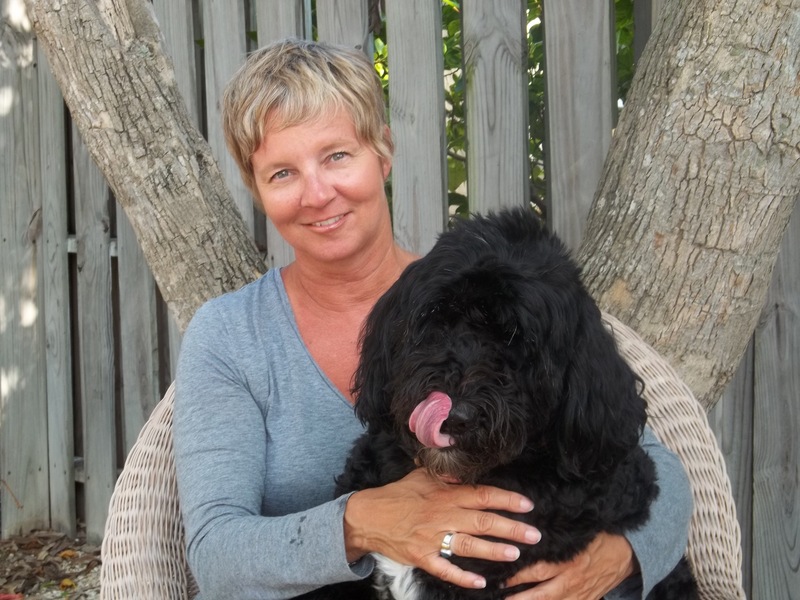 How is the book helping animal shelters? A major part of Bocker’s life has been lending a helping paw to those less fortunate than he is. There are so many shelters, rescue organizations, non-profits that help both animals and children in need that Bocker has always willingly supported and his support has made a difference in so many lives. We wanted these organizations to be recognized in his book so we created a section where individuals could sponsor whatever organization they supported. We are asking for a $20 donation. $10 will go directly to the organization and the other money will help us pay for the additional pages which will be added to the book. The shelter’s sponsor’s name will be listed as well as the shelter/organization’s name and contact information and website. These pages will appear in our first printing and any additional printings of the book, as well as the eBook, which will have a working hyperlink to the shelter’s website. This will help bring attention to them and hopefully more donations. 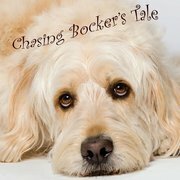 More information can be found on Bocker’s website or on his Chasing Bocker’s Tale Facebook page. Sounds very interesting. When will the book be available? We are hoping that the book will be ready for distribution mid-summer. We wanted the book to be “Bocker-Worthy” so we are taking extra steps and extra time to have it printed the way we want. The first edition will be a hard cover, collectible, limited run of 200, which will be numbered and pawtographed, and in color. There will be lots of photos because we know with Bocker, a picture is definitely worth a thousand words! When we are ready to take pre-orders, Bocker fans will even have the opportunity to choose the number book they want. We’ve already had requests to hold certain favorite numbers! How can people obtain a copy? The book will be available online. These details are still being worked out. What really makes this book so special? As you know Bocker has a huge following all over the world. Quite amazing! There are always so many questions about him and his life. There was just something in his eyes that said that his story should be told. There was always something very special and different about Bocker and from the beginning, it seemed that there was a reason for his existence. He brings smiles wherever he goes and we feel his story will do the same. It is special because it is life from Bocker’s eyes and because he has made an impact on so many lives and is very special to so many. Thanks for sharing Bocker. I know how hard it is to get a book project completed, and then to let everyone know about it. But it’s worth it; with our words, we can wag the world! Make sure your favorite animal shelter is included in this worthy project! I have been waiting to write this e mail for well over 2 years now!! We have our permits and will be breaking ground in the next few days, was supposed to be tomorrow but evidently the permits are not hung so it may be another day or so. And a thank you to John King with Monroe County for your tireless efforts in helping make this a reality. The wonderful F&W fence company is giving us a killer deal on our fence and the owner – Jed – is volunteering his own time for this project which will amount to at least a complete weeks worth of work for him. Thank you, thank you, thank you Jed!! I really want to support him and his men and am looking for some of you to rally and bring them lunch / cold drinks, take them out to lunch in AC? That sort of thing. 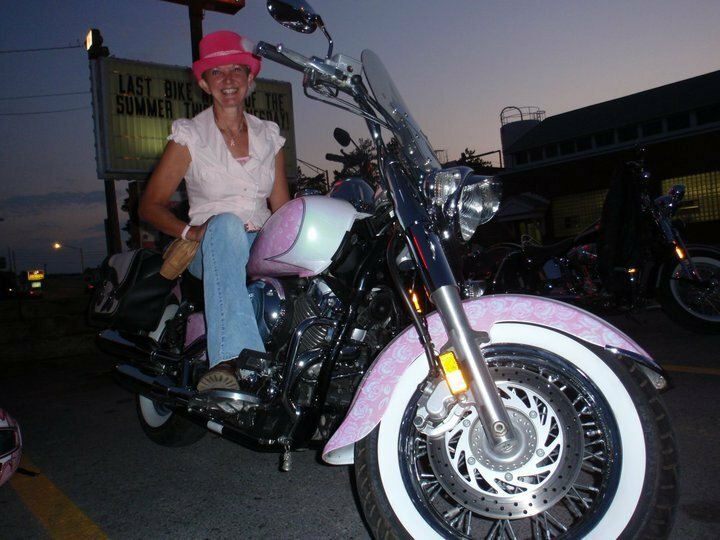 I am personally out of town so Sandy is your main contact for the going-ons of the week, please reach out to her at 305.923.9161 if you can help, so we can coordinate, it will be a total of 4-5 days. We may need some labor assistance in moving fencing / removing fencing, not quite sure yet what is going to be necessary but if you can help with that sort of thing also reach out to Sandy and let her know so we may call you if the time comes. Sometime this week hopefully the water line will be moved then the Pavers & signs and we will have our PARK!! I am sooo looking forward to seeing you all at the grand opening very soon! Welcome to my Blog, a place established to encourage the celebration of man’s best friends during National Dog Week, and the other fifty-one weeks of the year…To learn more, please see ABOUT. Also…please check out my new Facebook page for a new project to be launched shortly…Search SOMETHING’S LOST AND MUST BE FOUND. This Sunday, we celebrate the day devoted to mothers. If you are not fortunate to have a mother, or mother-in-law in your life, or if they are advocates for animals, consider making a donation in their name to support a favorite cause. Consider donating to groups that help to pay for the spaying and neutering of cats and dogs. There are so many animals that are brought to shelters that are about to, or have just given birth. Although they will make good moms, they probably will never have the chance to be and they, and their litters, face an uncertain fate. Me and my fur-baby, Hooper. Dog breeders, and dog trainers like to remind us all that dogs are not our children. But most of you who have dogs and cats, probably think of your pets as part of the family. Pets, especially our dogs, are in many ways, perpetual four-year olds, constantly in need of our services in order to survive and in their advanced age, need us even more. And in many ways, our pets may be easier to love, from what I hear. It happens all the time, wherever I go, people seem to be talking about… their dogs. At bars, restaurants, and teacher’s rooms, woman, and some men, often talk more about the dogs of their families than about their kids! It isn’t that they don’t love their kids, but talk of them sometimes brings up stressful topics about difficulties involving them, something that talking about dogs usually does not. Along with the talk, comes pictures in wallets, and on cell phones. One women I spoke with recently, had more photos of her dog than of her children! Sunday is Mother’s Day, a day to celebrate the mother’s of the nation. And there go those show off dogs again, during National Dog Week, they get a full seven days of honor during the last full week of September (see what I mean). But, I would like to give humans their due, and write about some special mothers that I know. My own mother for instance, someone with great style, and sense of humor; her house was and still is always filled with great food, lots of laughs, and pets a-plenty. At any given time of my youth, there was either a turtle, snake, dog or gerbil, on the loose, and a cat happy to help look for them. She always encouraged all of us to pursue our dreams and thought it was great that I left a good job in New York to become an artist. Then there is my mother-in-law, Charlotte. She will turn 95 in July, and still drives a sports car with a spoiler and goes to Atlantic City! Charlotte always had a dog and loves to reminisce about each one. My sister, Manette, documentary film maker, and mother to handsome Zac, who she raised as a single mom, my sister-in-law, Gigi, FIT Grad, and fashion designer, now a fine artist and mom to four beautiful and creative kids. And I extend my Mother’s Day greetings to all my friends and their terrific kids who call me aunt, and my friends whose kids are more of the K-9 or Feline kind! Please see the last post for details on the Covers for Critters Project. Also, please check out Project Pets – Spay, Neuter, Love on Facebook! Welcome to my Blog, established to promote the mission of the National Dog Week Movement born in 1928 and my book that chronicles the life and times of its Founder, Captain William Lewis Judy. To learn more, see ABOUT. Thanks to all for sharing the link to my blog with so many on Facebook…it is really helping to spread the word about some great projects…I’ve approached a local Rotarian about soliciting the support of local lodging establishments in his area. If you would like to use the letter I used as a template, please contact me at pst39crd@aol.com. The first seven days of May is officially Be Kind to Animals Week and National Pet Week and while it’s a nice thought, I think it’s a safe bet that most of my readers honor them the other fifty-one weeks of the year, too. But it’s a great opportunity to introduce the month with some real simple and effective ways people across the nation are especially kind to our companion animals. One such endeavor is the Covers for Critters Project organized by my friend who works under the name of Willie Wonka (named in memory of a beloved white poodle). If you are an advocate for animals you really should friend Willie on Facebook and “LIKE” the SitStayHeel and Project Pets pages, too, helping in the effort to revolutionize the American Shelter System and address America’s issues surrounding pet overpopulation. 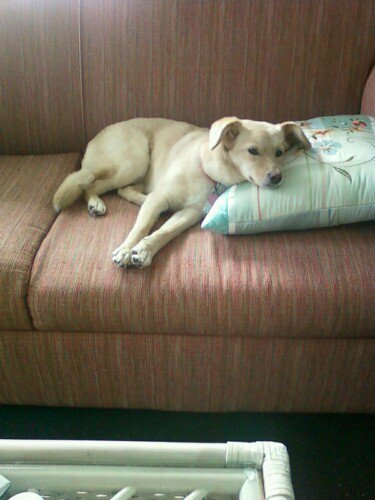 (You’ll love the photos of Willie’s rescued lab-mix, Jazz, too). How did you become involved with this project? One of our local hotels was doing a complete top-to-bottom remodel and they were throwing everything out. It was during this time that Willie posted a story about Pender County in North Carolina, having so many dogs sleeping outside on bare concrete in the dead of winter. A plea was put out on Facebook for doghouses and that need was met but they were still on bare concrete. It was then that I told Willie how I had come to be in possession of all these blankets and if I had their address I would mail some boxes of blankets to them for the dogs. One thing lead to another and as I got blankets, I would ask Willie for more addresses. So far I have sent out 7 boxes of blankets to 4 different states, NC, TN, FL and GA. That was around 5 months ago and the rest is history. It was Willie who prompted me to go “public” with it and enlist the help of every animal advocate out there and the response has been tremendous! Is this being done in an organized way in other parts of the country? To my knowledge, this exact type of program hasn’t been done before. The hotels/motels that I have visited have been very receptive to the idea especially when I mention all of the positive publicity they will receive. Facebook is such a powerful tool and who doesn’t like getting recognition for doing something nice? I really don’t have a story of any unsuccessful “hunts.”I would love to see a major chain of hotels proud to announce that they donate all of their unwanted blankets to Covers for Critters. I can’t see why they wouldn’t be willing to donate, especially if one would happen to mention that their competitor down the street is doing it. Where do all these blankets go and how do they get there? We urge volunteers to donate to their local shelter/rescue first and when blankets need to go elsewhere they can contact Willie for an address of a needy shelter/rescue. Right now, I’m paying for shipping my blankets out of my own pocket. Eventually, I’ll ask the hotels that donate the blankets if they would like to donate money to help offset the cost of shipping. I can send a large box of 5-6 blankets for around $15.00. I know 5-6 blankets doesn’t sound like very many but remember that these are hotel blankets they are all full size or larger. Most were queen/king size. The nice Velour ones that won’t fray if you cut them, so they can be cut smaller to use in cat crates too and they launder beautifully. I get my boxes from Sheetz, I like the Sub Roll boxes because they are thick cardboard and can stand up to the rigors of shipment, I also mail them USPS First Class or what some people call Parcel Post. This is the most economical way. How many blankets have you collected? To date I have collected and mailed over 50 blankets. Now, let’s think about this for a minute…….let’s say half of the blankets were King size and let’s say that each one of those was cut in half, that would give you 50 blankets in addition to the 25 blankets that weren’t cut in half! That’s a lot of warm dogs and cats. I’m also thinking that in the future I want to hold a “blanket drive” at my property. Maybe serve hot dogs and lemonade and have everyone from the community drop off their unwanted blankets. Willie Wonka says this project is, “simple, direct and cheap. No drama, just results…” adding that Project Pets-Spay Neuter, Love will pay for the mailing of blankets if needed. Willie would like to give Andy, the General Manager of the Falls Creek, PA Clarion a special thank you. Because of Andy’s generous participation, Willie’s organization has posted the chain on their Facebook Wall, and even called to thank him personally. Willie says that if a lodging is truly pet-friendly, they should have no trouble with this concept. 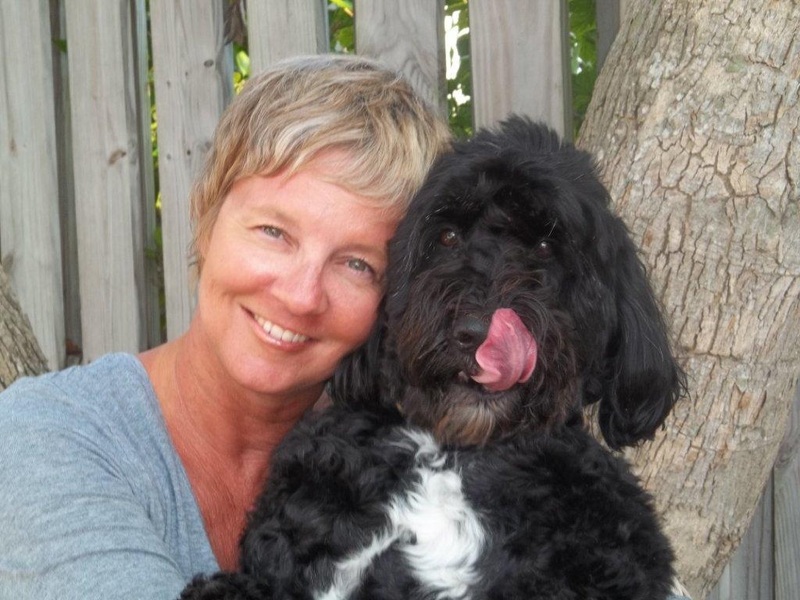 A special thanks is also extended to Jo Burchfield, the President and supporter of (PetProjectSNL) for all her contributions. Personally, I love this project. It’s good for recycling, good for the pets and the hotel and motel chains receive some positive press, too! Make a copy of this post to bring to the manager of a lodging establishment. Tell them we’ll make sure their good deeds are known.